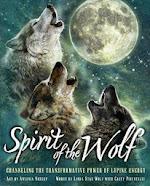 Aquarian Shaman: Shamanism for a New Age: Keep breathing and tap into your power! Dear Friends, I recently received this from one of our dear Shamanic Ministers who has been down from a surgery. I was so touched by her experience, I asked her if I could share this with you. 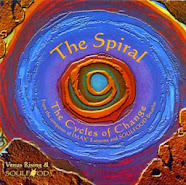 In our Shamanic Healing Initiatory Process (SHIP), that she mentions, we teach the Shamanic understanding of the Cycles of Change that we all undergo, and how to use the Spiral Path as a map to our process of transformation and empowerment. May we all remember to keep breathing and tap into our power as we move through times of challenge on the Spiral Path of Transformation. Last weekend was our second SHIP. I sadly wasn't able to attend because I am recovering from the eye surgery I underwent to correct the hole in my retina. Monday was about halfway into my enforced keeping my head down to allow a gas bubble to press on my macula--the method of healing the hole. I was so down, and feeling so bad about not being with my SHIPmates over the weekend and so sure that the surgery wasn't working (key in soap opera music here) and that I would be partially blind for life. Then I saw you in my mind's eye. You said, "Now breathe deeply." You put one hand on my heart on the front and the other on my heart chakra on the back and kept reminding me to breathe. You stayed with me for a while, just a reassuring presence, reminding me to tap into my power. Later that day I went to my eye doctor, who told me that my eye was right on schedule and was healing great. However, I had to keep my head down at least until Feb. 14. I felt such relief, along with impatience with this slow process, I'll admit. 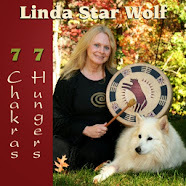 Thank you for helping me out with your higher self, dear Star Wolf! 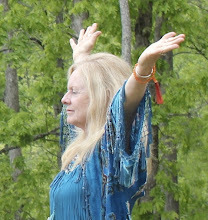 Thank you, dear one, for showing up on the planet at this time and tuning into your Higher Self!